The Ivy will definitely flourish! The Ivy on the Square (St Andrews Square) opens tonight – 20 September – I went last week to an opening – lovely balmy night – and we found ourselves after several truffle rice balls and steak on a stick at the end of the evening sitting outside in Parisian style terrace with a glass of Ivy fizz and to keep off the Scottish September chills a lovely aqua IVY embroidered blanket. The Ivy, West Street in London opened 100 years ago. This Edinburgh edition will be open seven days a week. The brasserie will offer all-day dining and an extensive cocktail list and always have some unreserved seats so you can be spontaneous – if you feel a espresso martini on the Square mood come upon you. 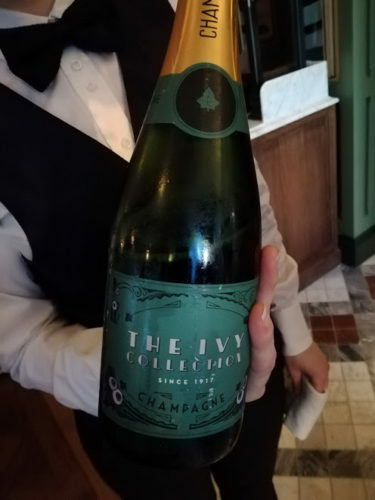 The Ivy on the Square’s brasserie style menu will offer something for all kinds of occasions, serving breakfast, elevenses, weekend brunch, lunch, afternoon tea, light snacks, cocktails and dinner. Dishes include the iconic shepherd’s pie and the chocolate bomb with hot salted caramel sauce. 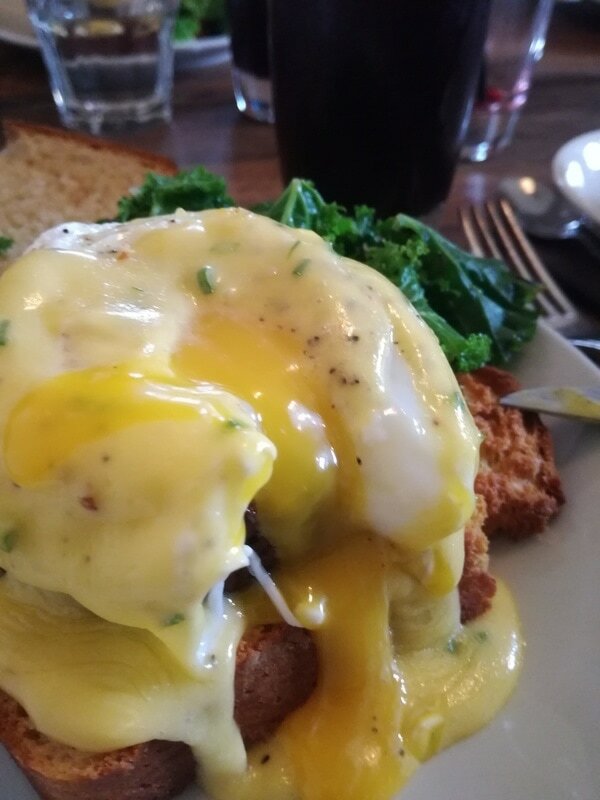 Definitely worth staying on the tram for – which is just across the Square. 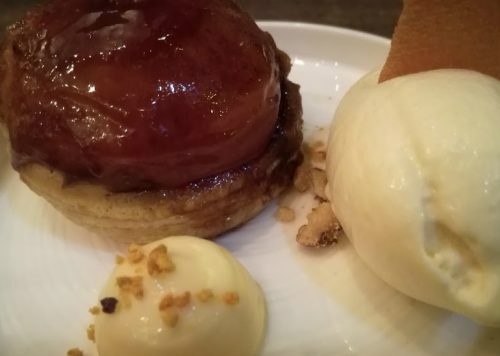 on Dalkeith Road does not fail to amaze with its eight-course taster menu – here is one unusual highlight: Peach passion and beeswax – the ice cream has a haunting sense of honey – but not sweet – but a dish that demanded more and more tasting. 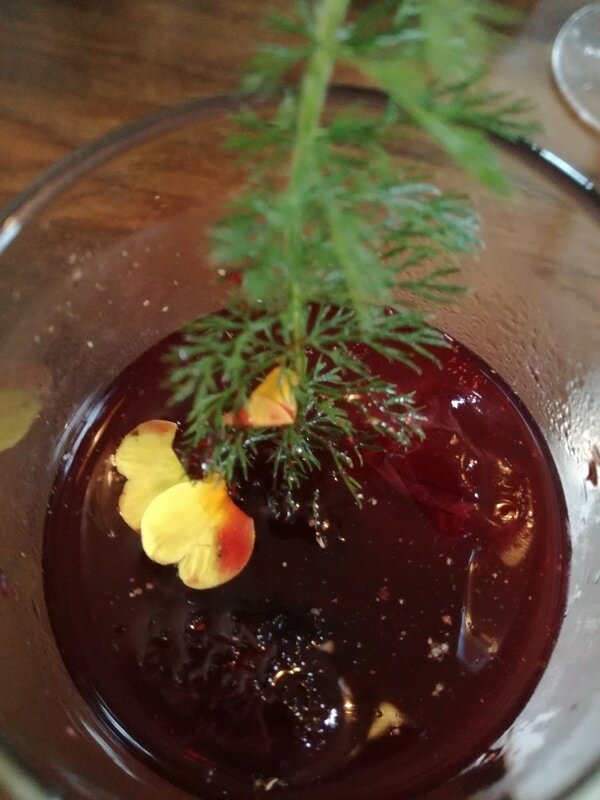 Beetroot Bloody Mary – amazing zing on a Saturday morning for this combo of: vodka, sherry, beetroot juice, red wine vinegar, house fermented chilli and celery salt. After one of those you feel ready to take on the Pigs head – no not with an apple stuck in mouth – it is in fact a delicate disc of distilled down pig – like amazing shredded bacon – sorry not doing justice to it – you must try!